Shivraj, namesake of the chief minister of Madhya Pradesh, lost his one-year-old son Dharmraj in August this year. “His growth was extremely slow, and he was getting sicker and weaker with each passing day,” recalls Shivraj, a resident of Bhairopura village in Sheopur district of Madhya Pradesh. When his condition worsened, Shivraj took him to the healthcare centre at Karahal, the block headquarters, where he was admitted to the Nutrition Rehabilitation Centre (NRC) that provides care to children with severe acute malnutrition. After spending 14 days at NRC, Dharmraj’s condition improved and he was discharged. But back home, his health deteriorated again. And this time, he could not recover. Till September this year, Bhairopura village had lost four children to commonly-treatable ailments like fever and diarrhoea. 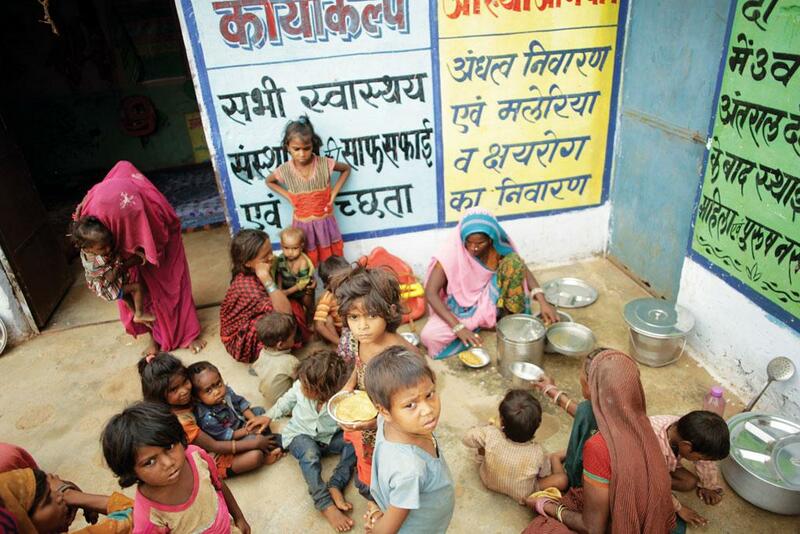 “All of them were malnourished,” says anganwadi worker Manorama Chauhan. Her growth chart of children shows 10 of the 82 children in this village of Saharia tribe are malnourished; six severely malnourished. 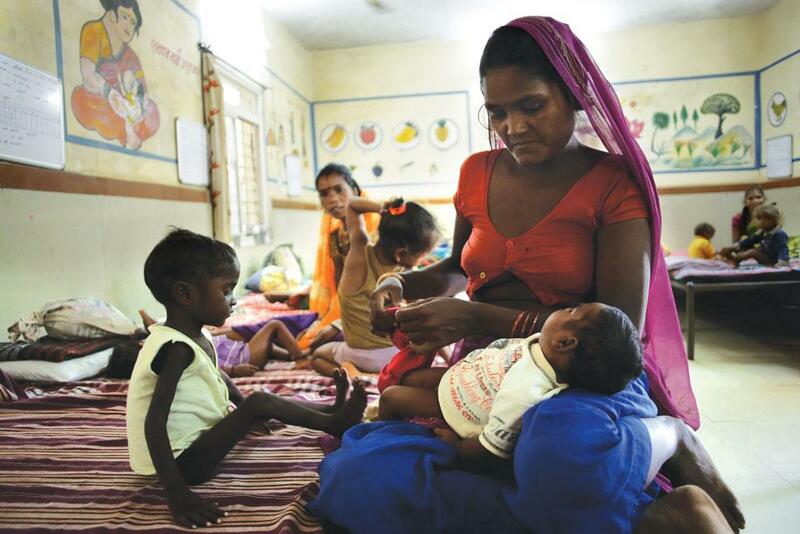 In the absence of government data, media reports show that at least 116 children died of malnutrition-related ailments in Sheopur between August and September. The district administration swung into action after the incidents hogged the head- line. Anganwadi workers queued up at NRCs to admit malnourished children. At least 155 children were admitted to Karahal NRC in September. Since the centre had infrastructure for 20, the hospital authorities procured beds on rent and appointed 30 anganwadi workers to take care of the children. Aanganwadi centres were also repaired and whitewashed. When Down To Earth (DTE) visited the anganwadi centre at Sonipura village, it was 11 in the morning. There were toys hanging from the roof, but no sign of children or food. While the malnutrition deaths in Sheopur have prompted the National Human Rights Commission to issue a notice in the last week of September, asking the state government to provide a detailed report in four weeks, experts say a similar situation prevails in other districts as well. Consider Shivpuri district. In September this year, Ramdan of Taparpura village in Shivpuri’s Pohari block lost his two-year-old daughter, Sangeeta. “She had always been very thin, but did not have symptoms of any disease,” says Ramdan. “Then one fine day, she fell unconscious after showing signs of diarrhoea, and died before we could take her to hospital.” At least three children have died in Taparpura in the last three months. The situation is even worse in Ahera village, where three children died in September. What is considered a standard weight of a healthy newborn is the weight of several children completing their first year in this tribal village of Saharias. Chameli’s 11-month-old daughter weighs 3.4 kg. The daughter of her neighbour Rupa is one year old and weighs just 5.5 kg. Several reports also highlight the grim picture in the state. According to international non-profit Save The Children, Madhya Pradesh tops the list of malnou rishment in children under the age of six in the country; 74.1 per cent children were anaemic while 60 per cent were malnourished in 2015. The latest fourth National Family Health Survey (NFHS-4), released in January 2016, also underscores high pre-valence of malnutrition in the state. About 42 per cent of under-five children are underweight (low weight for age), 42 per cent stunted (low height for age) and 25.8 per cent wasted (low weight for height), notes the report. While experts working on the welfare of tribal people are worried about the high under-nutrition among children in the state, they are particularly alarmed about the high cases of stunting. “Stunting indicates that people suffer from chronic hunger,” says Sachin Jain, state advisor to the commissioners of the Supreme Court in the Right to Food Case in Madhya Pradesh. Derek Headey, Senior Research Fellow in the Poverty, Health and Nutrition Division at the International Food Policy Research Institute, Delhi, says stunting measures the cumulative effects of several years of nutritional insults (poor diet and infection), including insults in the prenatal pregnancy period, and after birth. Besides, while the condition of children who are underweight and wasted can be reversed with good food and care that ensure less infection, such catch-up is not possible for stunted malnourished children. The loss is irreversible after a certain period. A 2014 study published in Pediatrics and International Child Health says stunting begins in utero and continues for the first two years of postnatal life. All possible corrections have to be made in this period. But such corrections seem ambitious in areas where people do not have enough to eat. Chameli and Rupa of Ahera village, whose daughters weigh just 3.4 kg and 5.5 kg, appear frail and anaemic. When DTE visited them, they had nothing to eat at home and were waiting for their husbands to return with food for that day. The situation was similar in all the tribal villages DTE visited in Sheopur, Shivpuri, Panna and Chhattarpur districts. Is this indicative of a bigger problem? To understand this, DTE compared the NFHS-4 data with the Statistical Profile Of Sche duled Tribes in India 2013, published by the Union Ministry of Tribal Affairs (MoTA). And the findings are startling. The prevalence of stunting is high in all tribal-dominated areas across the country (see ‘Children of apathy’). Almost half of the children are stunted in Alirajpur, Dhar, Dindori and Jhabua where 50 per cent of the people are tribal. 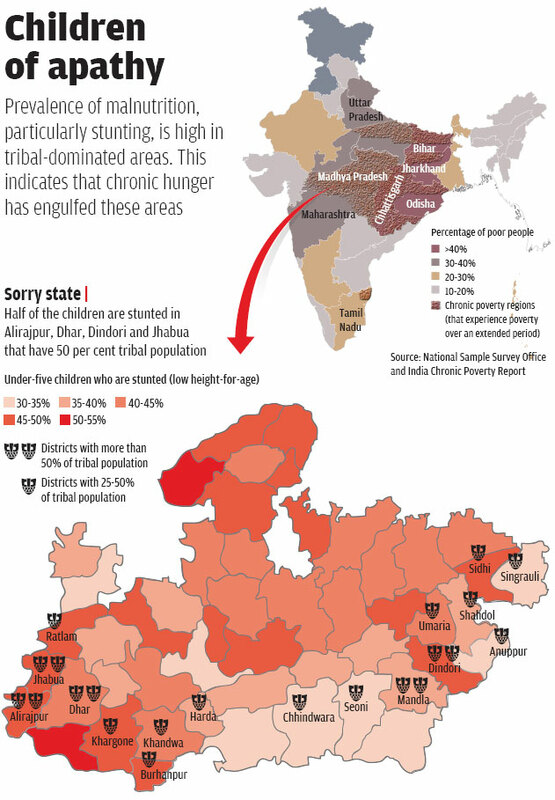 Such high incidences of stunting also suggest that chronic hunger is pervasive in the country’s tribal areas. Decades of hunger and stunting seem to have altered the stature of tribal people, forever. While the height of an average Indian has increased by 4 centimetres over the last century, that of a tribal person is decreasing. “The height of Paharia adults in Sundarpahari block in Jharkhand’s Godda district has reduced to 149.7 cm from 157.7 cm as recorded in Herbert Riseley’s The People of India, published in 1915,” says Shoumik Banerjee, a social worker who works in Jharkhand. The height of Korwa tribal people in Garwa district has decreased by 5 cm in the past century, he adds. Stunting also impairs the cognitive functioning of children of pre-school age, shows a study on South African children, published in Child Care Health Division in 2014. Several studies in India have also established this correlation. Small wonder then that stunting has become a major concern worldwide. The World Health Organization aims to reduce the number of under-five stunted children by 40 per cent between 2010 and 2025. But why are children stunted in a state that has grown at a fast pace in the last few years? Madhya Pradesh’s gross domestic product has registered a growth of 11.1 per cent, one of the highest in the country. Its GDP from agriculture has also grown at 9.7 per cent every year between 2005-06 and 2014-15. Besides, one-fourth of the state is under forest cover, as per the “India State of Forest Report 2013”. And most of the tribal areas are located in and around these forests. All the villages DTE visited are located inside rich forest areas. Residents of these villages say they have traditionally depended on the forests for food and livelihood. But they are no longer allowed the enter the forest. “Earlier, we used to eat meat frequently,” says Ummed of Taparpura village in Pohari block. “I cannot remember when I had meat last.” His neighbour, 45-year-old Shravan, recalls that when he was young, people in the village used to frequently eat the meat of rabbit, pig and several other wild animals. “Now, it’s not possible,” he says. Shravan had eaten meat 10 months ago and that too of a broiler chicken. Women in Panna village say forest officials arrest people even if they jokingly mention to have had meat. Elderly people in these villages talk of times when a variety of food, from jowar (sorghum), bajra (pearl millet) and sanwa (sawa millet) to leafy vegetables and meat, was a regular part of their platter. All these are a dream now, they say. All they get to eat these days is rice and wheat supplied through the government’s Public Distri bution System (PDS). A 2013 report by MoTA notes that 72 per cent of the tribal women do not get to eat a single fruit in a week. Yogesh Jain of Jan Sahyog Sansthan, which has been working in Chhattisgarh for the past 20 years, says stunting among the tribal people shows they are not getting enough food. To ensure food and nutritional security of children and mothers, the state has programmes like the midday meal and anganwadi programmes. But these programmes do not provide animal protein, such as milk, egg or meat, Yogesh says. Whatever food people get does not have much nutrition. It looks like the people who formulated the programmes believe that the tribal people in India are not only vegetarians but vegans, he adds. To make matters worse, most people in the region are trading these benefits for money. Under PDS, a family below the poverty line can avail 30 kg of wheat, 5 kg of rice, 1 kg of sugar, 1 kg of salt and 5 litres of kerosene a month by paying Rs 140. But DTE found that most tribal families have mortgaged their ration cards with the local PDS shop owner. Ummed, who has been suffe ring from tuberculosis for the past two years, mortgaged his land and ration card last year as he needed money for treatment. When DTE visited him, he had nothing to eat at home. Shravan has mortgaged his card as well as that of his son for Rs 7,000. He needed money to marry off his daughter. Ramdan mortgaged his card for Rs 3,000 when Sangeeta started showing signs of diarr hoea. While she died, Ramdan is yet to clear the debt. In Mohanta Khurd village, at least 20 families have mortgaged their ration cards. “This shows acute poverty in the region,” says Sachin. “These villages have traditionally depended on the forests for food, nutrition and medicine. Now that they have been denied access to the forest, it has impacted their lives,” he says. Speaking to DTE, Minister of Women and Child Welfare, Madhya Pradesh, Archana Chitnis, admits that the situation in these tribal areas is quite grim and it needs serious effort for course correction. The Madhya Pradesh government must act soon before it is too late. A STUDY of which I was a part, published in The Lancet this June says that 51.1 per cent of tribal children under five are stunted. The figure for the non-tribal population of the country is 43.1 per cent. There is no doubt that the tribal population is more malnourished. Child malnutrition depends on social-economic condition, education, health of mothers and availability of healthcare facility. The scientific advancements made in the past century have not benefitted tribal people. Even the government schemes launched to fight malnutrition are in bad shape. Almost Rs 30,000 crore have been spent on the Integrated Child Development Services (ICDS), but with no evident benefits. Children are most susceptible to malnutrition in the first two years after birth, but by the time ICDS comes into play, the child is already malnourished. Food provides minerals, vitamins and protein necessary for a healthy life. For the tribal population, these come from forests. But they are increasingly being denied entry to forests. It is difficult to say if forests can ensure food security round the year, but denying their access to forests certainly does not help. 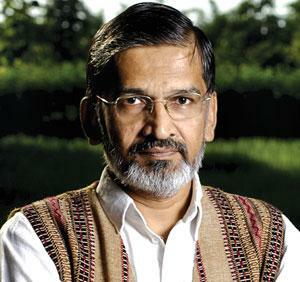 What the government needs to do is take steps to improve literacy and economic condition of tribal people. Women's health needs special focus because it will benefit children too. Healthcare facilities in these areas need a huge boost. Tribes must also be allowed control over forest resources. The story has been published in the 1-15 November, 2016 issue of Down To Earth magazine.